Cobalt Violet is a pure hue that cannot be mixed from other colors. It is cool in its masstone, chemically stable, and semi-opaque. It has a weak tinting strength and is generally offered in a bluish and a reddish-violet shade. Cobalt Violet can be quite expensive, so it is used mostly as a top coat color. It is compatible with all painting media, but its light variety can change in oil form. It grays down considerably when mixed with white. Manganese Violet is a less costly substitute for the bluish variety of Cobalt Violet. Cobalt Violet has excellent permanence, and its lightfastness makes it more desirable than older organic dye violets. 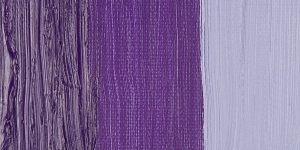 Cobalt Violet is highly toxic by both ingestion and inhalation, particularly in dry pigment form. However, much of the material presently used to make paints of this color is non-toxic cobalt phosphate. Cobalt comes from the Middle High German word kobolt , an underground goblin, because miners thought cobalt harmed silver ores. Cobalt Violet was the first real violet pigment and was described by Salvetat in 1859. The light variety of this pigment, developed in Germany earlier in the 19th century, was particularly poisonous due to its arsenic content. 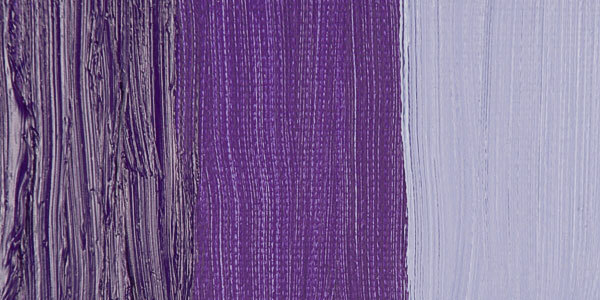 Cobalt Violet hues were the only permanent bright violets available to artists until the 1950s.